Make the most of your time in Ireland by seeing all the island has to offer. The beauty of its small size is that no matter where you choose to live, the whole country is yours to discover. Wherever you put down roots, you’ll find people are friendly, urban spaces are liveable, and history and modernity flourish side by side. There’s lots to see and do in Ireland. Irish cities and towns all have their own character and unique offerings. Here’s a guide to some of Ireland’s biggest and brightest. 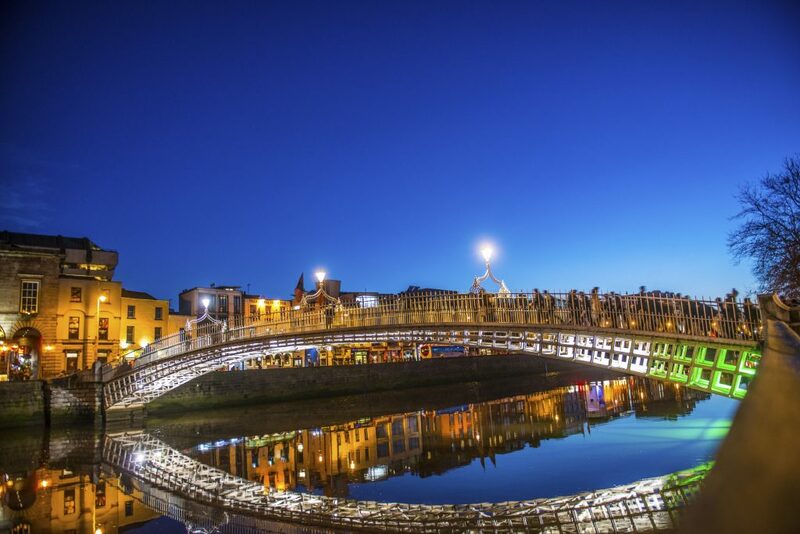 The capital city of Ireland, Dublin buzzes with culture and a cosmopolitan vibe. The cobblestoned Temple Bar area draws tourists and party-goers, but a wander down its many side streets will unearth small photography galleries, hip watering-holes and vintage boutiques. The nightlife is balanced by the park life, with many stunning gardens throughout the city, and its compact size makes it easy to get around – just hop on one of the public Dublin Bikes and go. More people visit the Guinness Storehouse each year than any other Irish attraction, but Dublin also offers an impressive number of national museums and galleries, from the well established National Museum of Ireland to the cutting edge Science Gallery, and admission is usually free. When you need a break from city life, just take a short bus or train ride and you can be hiking through the Dublin Mountains, breathing in the sea air at Dún Laoghaire harbour, or taking in the views of Dublin Bay from Howth Head. Known by its natives as The People’s Republic, Cork people are very proud of where they come from. Despite being Ireland’s second largest city, it has a friendly, small-town feel, and a breathtaking skyline with its many hills and church steeples. The English Market is one of the oldest covered food markets of its kind and a must for sampling local and international produce. The annual Guinness Jazz Festival gets the city dancing each October, while the Folk Festival showcases the best in Irish traditional music. If you have access to a car or a bike, get off the beaten path by exploring West Cork and its jagged shoreline. Located at the mouth of Ireland’s longest river, the Shannon, and steeped in history – Limerick is the gateway to the west, where you can take in the stunning Burren landscape of Clare, head northwest to Galway’s Irish-speaking Gaeltacht area, or southwest to the wild beauty of Kerry. Sports fans come to Limerick to cheer on the Munster rugby team in Thomond Park, while art and history buffs come for the galleries and King John’s Castle. Foodies will enjoy weekend mornings at the city’s Milk Market for fresh local produce, flowers, and crafts. In Spring, Riverfest kicks off with music, fun, and food, including the biggest BBQ cook-off in the country. On the west coast, Galway – also known as the City of the Tribes – blends the liveliness of a young, university city with the charm of a seaside town. 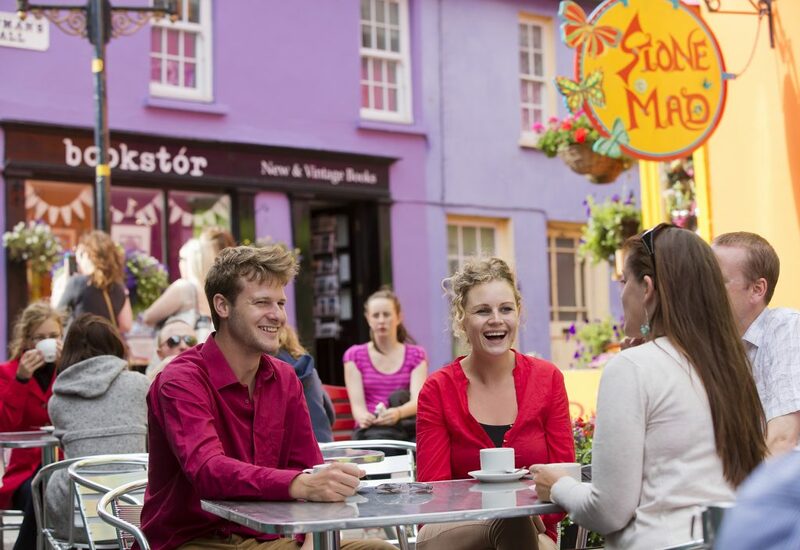 Recently voted the friendliest city in the world (Travel and Leisure Magazine, Aug 2015), you’ll find students, locals and tourists mingling in the many famous pubs of Shop Street. Bright and cobblestoned streets form the backdrop to bustling restaurants, bohemian bars and street performers while a short 15 minute walk brings you along the promenade to the sandy beach of Salthill. The Galway Races and the Arts Festival draw revellers from around the country each year, and just a short road trip away is the breathtaking scenery of Connemara. Located down in the “Sunny South East”, Waterford lies on the edge of the Irish Sea. Originally founded by the Vikings, it is the oldest Irish city. Waterford sits on the River Suir, popular for fishing with waters sometimes as clear as the Waterford Crystal the city is so well known for. In the summer, the annual Harvest Festival attracts foodies for markets, tastings and cooking demonstrations, while the Spraoi festival takes the city over with street arts and theatrical performances. With so much to discover in Ireland, it can be easy to stumble upon beautiful scenery without even trying. Whether you’re in search of adventure, history or just some breathtaking views, taking advantage of the natural heritage is a great way to spend your weekend. Here’s a guide to some of these places to visit in Ireland. The West of Ireland is a must for those looking to explore the country. Download the Wild Atlantic Way app and follow a 2,500km trail through nine counties with spectacular views of the ocean that leads to a number of natural attractions, including the breathtaking world-heritage site – the Cliffs of Moher. The route also passes through the rural Gaeltacht areas of Donegal, Galway, and Kerry where the locals’ first language is Irish. From Galway Bay, ferries sail to the Aran Islands, a cluster of remote islands dotted with historic ruins. A little further north, world class surfing awaits off the coast of Mayo and Sligo. Just two hours north of Dublin and crossing into the UK is the city of Belfast. While most popular attractions include the many political murals which document Belfast’s troubled past and the impressive Titanic centre, Belfast is also a vibrant modern city, full of museums, art and of course, a number of Game of Thrones themed tours, much of which was filmed in Belfast and throughout Northern Ireland. The Giant’s Causeway, a World Heritage site, is an incredible basalt rock formation resulting from volcanic activity over 50 million years ago. To the northwest, and crossing back into the Republic, Donegal presents more rugged coastline, mountains, and another opportunity to hear the Irish language spoken by the locals. Dublin tends to steal the spotlight when talking about the East of Ireland but there are a number of gems embedded along the coast of the Irish sea. The east provides plenty of lush scenery perfect for hiking or horseback riding. Just south of Dublin are the Wicklow mountains, and Glendalough, a spectacular glacial valley with a rich history and its round tower – an Early Medieval monastery. Further south, Wexford is famed for its sunny, sandy beaches and the Irish Sea is calmer than the west’s Atlantic. For a piece of history, visit the world’s oldest working lighthouse at Hook Head, which has been standing for over 800 years. The craggy Dingle Peninsula which juts out into the Atlantic Ocean is famous for its dolphin watching and views of the remote Blasket Islands. Cyclists and hikers alike trek the Ring of Kerry, the renowned circular scenic route that begins and ends in Killarney, offering magnificent views of glens and lakes. Heading east into Cork, the pretty fishing port of Kinsale makes the most of its waterfront, with boating and yachting a popular activity, while nearby Cobh attracts many visitors for being the last port of call of the Titanic before starting its voyage across the Atlantic. In West Cork, you’ll find more picturesque fishing villages like Schull and Skibbereen, as well as fantastic beaches along the peninsulas.